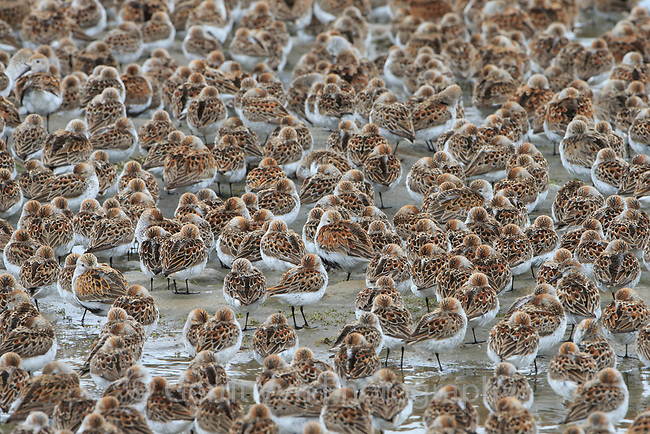 Dunlin and Western Sandpipers rest on mudflats during their spring migration to Alaska. Gray's Harbor, Washington. May.